Roulette is one of the most popular casino games in existence. It’s well-known by most people on Earth and also relatively simple. I know that you will most likely be able to walk up to a roulette table and play the game without even reading about it. However, I believe proper preparation shouldn’t be neglected. If you want to play roulette (whether in a brick-and-mortar casino or online), you should know the basic roulette rules and the types of bets you can place in this game. That’s why I put together this article. Think of it as a beginner’s guide to roulette that will teach you everything you need to know to have fun and maybe even win something while playing roulette. Keep reading and get ready for the game! Please note that there are multiple types of roulette, more specifically European, French and American roulette. These are very similar in many aspects, however, there are some differences worth noting. When certain aspects of the game differ between the individual roulette types, I will mention it in the text. In the meantime, you can read more about the European roulette table and wheel layout and the American roulette table and wheel layout. This article contains only the basics about roulette. If you already excel in your knowledge of the game, feel free to skip this article and move on to the roulette strategies that can help you increase your chances of leaving the casino with a win in your pocket. A small metal ball is thrown into a spinning roulette wheel, and players bet on the number where they think the ball will land. Players can bet on an individual number or on many different groups of numbers. Bets on fewer numbers are less likely to win, however, award players with bigger wins. I will go through all of the possible bets, sizes of winnings and the probability of winning with different bets later on in this guide. Note that the numbers on the wheels are not in ascending or descending order. Rather, they are in a specific order, which is different for European and American roulette. To learn more about this, feel free to read my article on roulette table and wheel layout. Apart from the ball and the wheel, there is also a roulette table with a layout used by players to place their bets. Bets can be placed before the dealer spins the wheel and throws in the ball. However, they can often also be placed even when the wheel and the ball are rotating, until the dealer announces that bets are closed. The start of the betting round is announced by the dealer saying "Place your bets! ", and it ends with the dealer saying "No more bets!" The number the ball lands on is the winning number. All of the bets are then evaluated accordingly. The losing bets are collected by the dealer, while the winnings for the winning bets are paid out to the players. These special roulette rules are beneficial for the player, as they reduce the house edge and make the player lose less money in the long run. Therefore, if you have a choice, always choose a game with one of these rules in place. Note that these rules are not a standard part of the game and are only applied in some casinos. Before you play, find out if these rules apply or not. "La Partage" applies to the so-called even chance bets (red/black, odd/even, 1-18/19-36) that have the same probability of winning and losing, and is used on many French roulette tables. If a player places an even chance bet and the ball lands on 0, half of the wager is returned to the player. A player placed a bet of $100 on black and the winning number was 0. Thanks to the "La Partage" rule, $50 is returned to the player. "En Prison" is a more complicated variant of the "La Partage" rule. Here, instead of half of the bet being returned to the player, each even chance bet remains on the table after the ball has landed on 0. The dealer places a marker on it, which signalizes the bet is "in prison". The bet is then evaluated in the next round. If an "in prison" bet wins, the original wager is returned to the player. If not, the player loses it. A player placed a bet of $100 on black and the winning number was 0. Therefore, his bet was put "in prison". In the following round the ball landed on a black number, which means that the $100 was returned to the player, thanks to the "En Prison" rule. This means that the rules "La Partage" and "En Prison" bring more or less the same result in the long run, however, there is a small difference that is worth noting. Some players prefer "La Partage", while others enjoy the added rush of "En Prison". While the two aforementioned rules are used for the French and European variants of roulette, the "Surrender" rule is used specifically in some American casinos as a part of their American roulette game. It’s basically the same as the "La Partage" rule, but it applies to both 0 and 00. If the ball lands on one of these numbers, half of each even money outside bet is returned to the player. 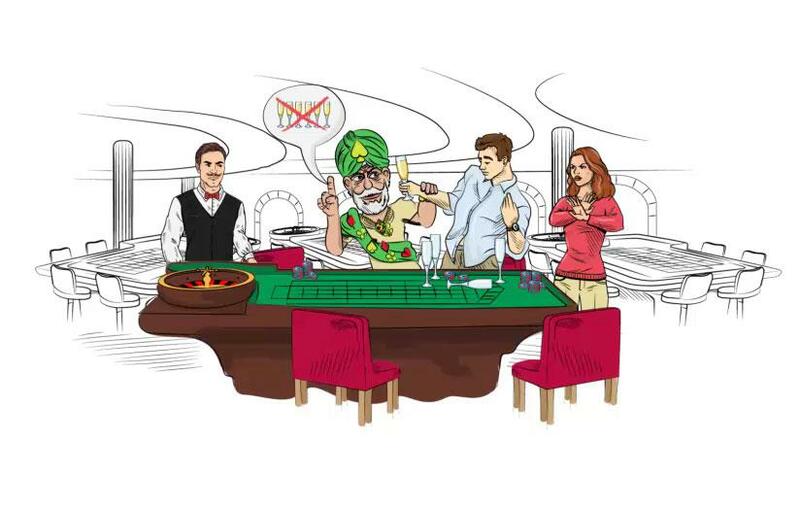 If you want to enjoy a game of roulette in a brick-and-mortar casino, you should also know how to behave at a roulette table, as well as what you should and shouldn’t do. That’s where roulette etiquette comes in. This part of the article will be especially helpful if you plan to play roulette in a big and fancy casino. Roulette etiquette covers a set of "unspoken" rules that should be followed. However, the casino staff understand that not everyone knows about these rules, which is especially true for new players. Therefore, you will most likely NOT be punished for disobeying these rules, but it doesn’t hurt to know them. Many players like to have a drink in a casino, but you definitely shouldn't overdo it. Know when to place bets. The dealer opens the betting round by saying "Place your bets!" From that point you are allowed to place your bets, until the dealer closes the betting round by saying "No more bets!". You shouldn’t place any bets outside of this time window. Know when to cash chips and how to work with them.Roulette chips are quite different to chips for other casino games. In roulette, every player has chips of a unique color, so that he/she doesn’t mistake them for chips of other players. Roulette chips can’t be used for other casino games. Therefore, you should exchange money (or standard casino chips) for roulette chips when joining a roulette table and do the opposite when leaving it. Keep your excitement under control. It’s okay to be happy after a nice win, but you should be able to keep your emotions under control. No shouting, swearing or calling other people (the players or the dealer) names, neither when winning or losing. Help others place their bets or let them help you. Roulette tables can be quite big and some sectors of them might be hard to reach. If that’s the case for you, don’t throw the chips at the table. Instead, politely ask other players to put the chips on the table and explain exactly what bets you want to make. If it’s the other way around, don’t hesitate to help other players place their bets. Don’t drink too much. It’s okay to drink alcohol at a casino, but you should be able to keep it under control. Don’t get drunk. 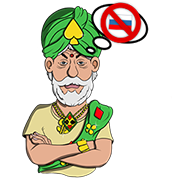 You might be impolite towards casino staff and other players, and you also might start making bad decisions. Follow the rules about tipping. Tipping is allowed in some casinos, while banned in others. Find out what the rules about tipping are in the casino you are in and follow them. In roulette, there are many different types of roulette bets available. Players can bet on a single number or many different groups of numbers. The different types of bets allow players to place bets with a range of winning frequencies, as well as a range of differently sized wins. The inside and outside bets are all the standard bets that every single player should know. The announced bets are a bit more advanced and not even available in every casino, so being familiar with them is certainly not a necessity when playing roulette on a basic level. Note that roulette is a game with medium volatility (higher than most table games, but lower than most slots). The most volatile bet is the bet on a single number, which pays out 36 chips for a 1 chip bet. If you want to have a chance to win really big for a small bet, you should probably try other types of casino games. Increasing the volatility of games is the main concept behind most of my slot strategies. On the other hand, roulette has a very nice RTP, especially when some of the special rules I mentioned before apply. Read more about the importance of RTP and variance. 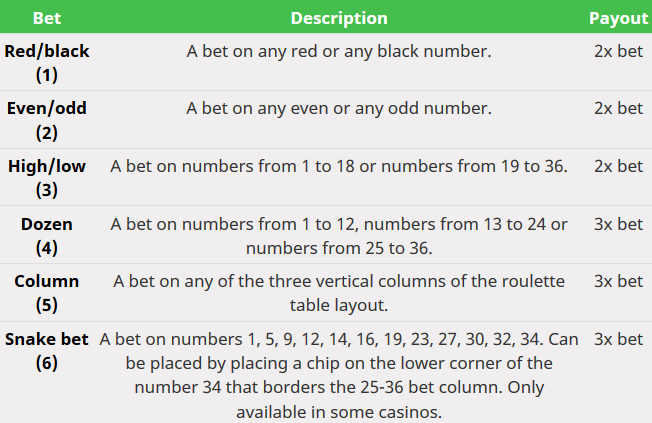 When you take a look at the roulette table layout, you will see that there are the numbers (1-36, 0 and 00 in the American roulette), as well as other sectors for bets. The inside bets are the ones that can be placed directly on the numbers themselves. You can find out more about them from the table below. The inside bets cover from 1 to 6 numbers and pay from 6x to 36x the original bet. Most of them are available on both single zero and double zero games, while some (Trio, Basket and Top line) can only be found when playing specific variants of the game. That should be obvious from the slightly different table layouts that make it clear which bets can and cannot be placed. 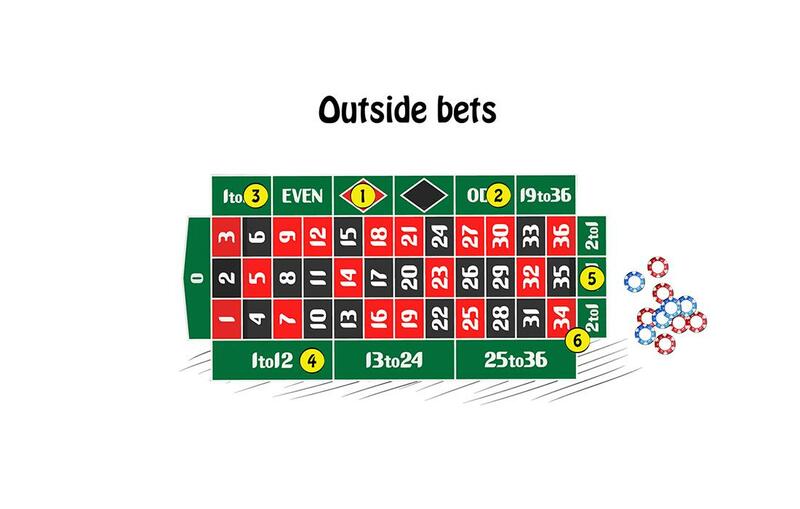 Outside bets are placed on the sectors of the roulette table layout outside the numbers themselves. You can find out more about the outside bets from the table below. Note that for the purposes of outside bets, 0 and 00 are not red or black, odd or even, or high or low. For each of these bets, 0 or 00 counts as a loss, with the exceptions of games under the aforementioned "La Partage", "En Prison" or "Surrender" rules. Announced bets (also sometimes called "call bets") are a special type of bet that a player can announce to the dealer before they place the required amount of chips on the roulette table. These bets most commonly cover a specific section of the roulette wheel, which means that the numbers are not next to each other on the roulette table layout as they would be for a regular inside or outside roulette bet. There is another way of placing announced bets apart from simply announcing them. On some roulette tables, there is a special area called a racetrack, which serves specifically this purpose. It’s basically a schema of the entire roulette wheel, with a special sector for each announced bet. Read more about the racetrack in my article about roulette table and wheel layout. The legal difference between the terms "announced bets" and "call bets" lies in whether the player needs to physically place his chips (money) in play. "Announced bets" is the correct term to use, because the player must place the required amount of money in play after announcing his/her bet, and prior to the outcome of the spin. Announced bets are often referred to using their French names. 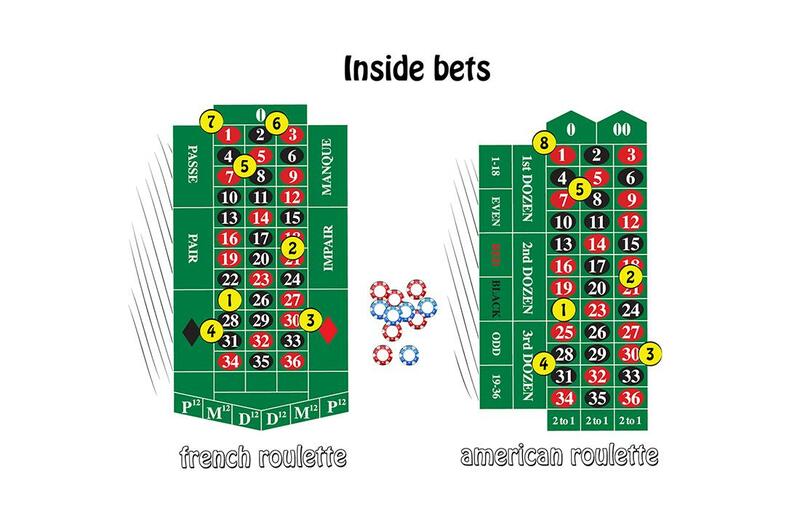 Also, these bets are generally connected to the European or French roulette and its wheel layout. Keep in mind that these bets are not a part of the game in all casinos and most definitely aren’t a part of the know-how every roulette player needs to have. If you just care about the basics, feel free to skip to the next part of this text. This bet covers 17 numbers from 22 to 25 (inclusive) on a single zero roulette wheel. Specifically, the "neighbors of zero" roulette bet consists of numbers 22, 18, 29, 7, 28, 12, 35, 3, 26, 0, 32, 15, 19, 4, 21, 2 and 25. Notice that not all of the individual bets net the same result when hit. All of the bets, apart from the first one, bring the player 18 chips (net win of 9 chips), therefore effectively double his/her total bet. However, the bet of 2 chips on the 0-2-3 trio brings the player 24 chips (net win of 15 chips). It’s similar for the majority of announced roulette bets, which is why I will not mention this fact for each of them. This bet covers the zero (0) itself and 6 numbers close to it, more specifically numbers 12, 35, 3, 26, 0, 32, 15. Therefore, 7 numbers are covered in total. As you can see, all of these numbers are also covered by the "neighbors of zero" bet, but the "zero game" is placed differently. While the majority of the announced bets are often presented in French, the "zero game" bet has its origins in German casinos. That’s why it’s also sometimes referred to as "zero spiel". This bet covers 12 numbers from 27 to 33 (inclusive), specifically numbers 27, 13, 36, 11, 30, 8, 23, 10, 5, 24, 16 and 33 on a single zero roulette wheel. While both of the previously mentioned bets cover the space on the roulette wheel around the number 0, the "Third of the wheel" bet’s coverage is located on the opposite side of the wheel. Six chips (or multiples of six chips) are needed to place this bet. For a bet of six chips, the individual bets are placed on the following splits: 5-8, 10-11, 13-16, 23-24, 27-30, 33-36. Neighbor bets (or neighbour bets in British English) are different to the aforementioned announced bets, because a neighbor bet can be applied to any number(s) on the roulette wheel. A neighbor bet is a bet of five chips (or multiples of five chips) that covers any selected number and the four numbers closest to it on the roulette wheel (two on the left, two on the right). For a total bet of five chips, one chip is placed on each of the numbers straight up. Four chips (or multiples of four chips) are required to place one of the bets from "Final 0" to "Final 6". Three chips (or multiples of three chips) are required to place one of the bets from "Final 7" to "Final 9". For example, the bet "Final 5" covers numbers 5, 15, 25 and 35. The bet "Final 8" covers numbers 8, 18 and 28. A complete bet (also called a ‘maximum bet’) is a bit more complex, because it contains many different kind of bets. The main idea behind these kind of bets is to maximize the total amount of inside bets that can be placed on any number. The European roulette maximum bets are based on a progressive betting model. That means that, for instance, if the maximum bet on a number straight up is $1,000, then the maximum bet on a split is $2,000, the maximum bet on a corner is $4,000, the maximum bet on a street is $3,000 and the maximum bet on a six line is $6,000. That’s because the maximum bets are not determined by the size of the bet itself. They are determined by the winnings a player can win by placing them. If a player bets 40 chips like this and the roulette ball lands on the number 17, all of the bets win and the player achieves the highest possible winnings from a maximum bet (432 chips including his original bet, 392 chips net win). If the ball lands on some of the neighboring numbers on the roulette table layout, the player still wins something - just not nearly as much. Note that for some numbers, a maximum bet consists of less than 40 chips. 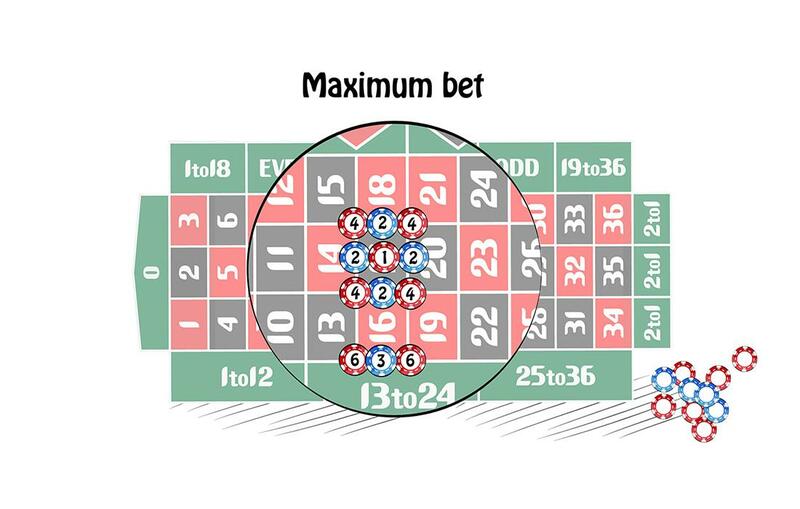 If, for example, the number is located at the corner of the inside part of the roulette table layout (like numbers 34 and 36), the maximum bet is only 18 chips. The smallest maximum bet is on 0 and consists of only 17 chips in total. So, now you know all of the roulette bets, as well as how much you can win by placing them. Now, we are approaching the most interesting part of this article. It’s time to calculate roulette odds and find out the long-term value of each roulette bet. I calculated so-called RTP (Return to Player) for each of the bets listed in the tables below. It’s also called the payout ratio. The payout ratio is the expected long-term value of a bet. Feel free to read more about it in my article about RTP and variance. Notice that the RTP of the "top line" bet on American roulette is lower than the RTP of any other roulette bet. That’s because this bet covers 5 numbers and pays only 7-times the bet value. If the winnings for this bet were 7.2-times the bet value, it would have the same RTP as the other bets on American roulette. That’s why it’s never a good idea to place any chips on the "top line" bet. I’ve listed all of the important information about the odds of the outside roulette bets in the table below. The table above contains numbers for games without the use of any special rules like "La Partage", "En Prison" or "Surrender". These rules introduce a special element into the game that changes the RTP of the game. 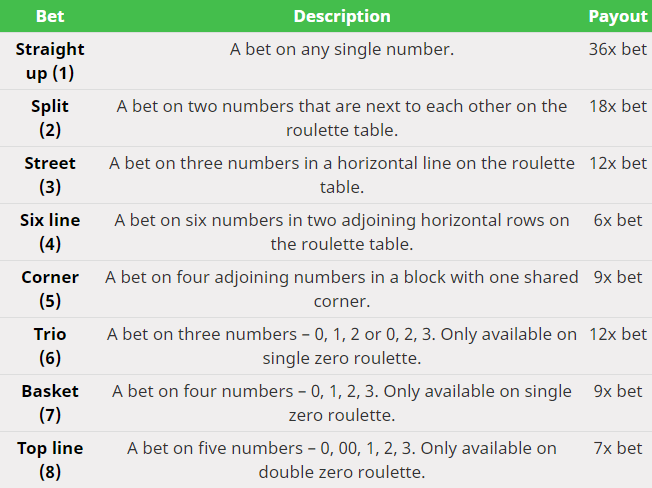 In the table below, you can find out how the special roulette rules can change the RTP of the game. These rules only apply to so-called even chance bets, which is why I list only those in the table. Thanks to these rules, the even chance bets have a higher RTP than other kinds of bets. Therefore, if you play roulette with one of the aforementioned rules in play, keep in mind that placing these bets is more beneficial in the long run. Therefore, I will not list the RTPs of these bets like I did for the standard inside and outside roulette bets. Any announced bet on single zero roulette has an RTP of 97.3 %. The announced bets I mentioned in this article only consist of inside bets, which means that the RTP of the total bet can’t be influenced by special roulette rules that change the RTP of the even chance bets. Announced bets are almost exclusively used on European (French) roulette. 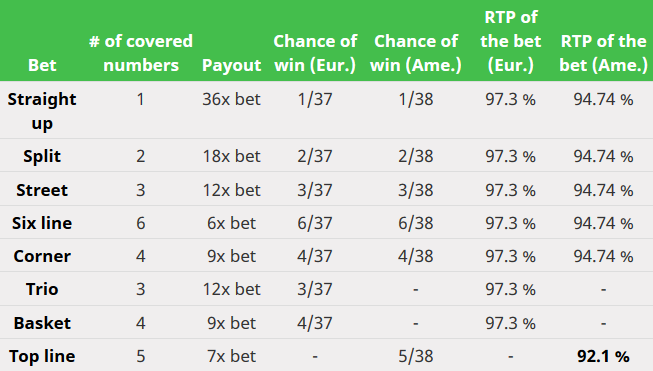 However, if they were used (in a changed form) on American roulette, they would have an RTP of 94.74 %, unless they contained the "top line" bet which has a different RTP and would change the RTP of the total bet slightly. However, as you can probably tell after reading other parts of this article, there are some bets that are exceptions to this, as well as special roulette rules that can lower the casino’s advantage over players. The rules "La Partage" and "En Prison" decrease the single zero roulette house edge for even money bets (red/black, even/odd, high/low) to roughly 1.35 %. The rule "Surrender" decreases double zero roulette house edge for even money bets (red/black, even/odd, high/low) to roughly 2.6 %. The bet called "top line" that covers the numbers 0, 00, 1, 2 and 3 on a double zero roulette has the highest house edge found on a roulette table – 7.9 %. The lower the house edge, the better off the players. From an RTP and house edge perspective, the even money bets on French roulette with either "La Partage" or "En Prison" rules are the most advantageous for the players, because they statistically lose only 1.35 % of their bets. How does roulette house edge compare to other casino games? Thanks to the house edge and RTP, it’s easy to compare various casino games and find out which of them are the least beneficial for the casino and the most beneficial for the player. So, is roulette’s house edge any good when compared to other games? As you can see, when it comes to table games, there are some games that are better for a player in the long run. American roulette is far worse for the player, which means that if you want to play roulette, try to find a casino that operates the single zero variant of this game, ideally using some of the rules that decrease the house edge in roulette. How is roulette RTP and house edge calculated? As I already mentioned, the game of roulette is relatively simple, which means that its RTP and house edge are quite easy to calculate. In this part of the article I will explain why the casino will always have an advantage in roulette, as this advantage is mathematically connected to the way this game works and to its odds. For the calculation, I will use European roulette with no special rules. However, the same calculation can be used for other types of roulette, with just a few changes that can make the game more/less advantageous for the casino. I could continue and write a calculation like this for every single possible European roulette bet, but it’s really not necessary. Payouts for every roulette bet are calculated according to the same formula, which means that every single European roulette bet has the same RTP of 97.3 % (the player statistically wins $0.973 for each $1 wagered). The RTP of all European roulette bets is the same. However, there are some special rules that can make certain bets less advantageous for the casino, increasing the RTP and decreasing the house edge. Every outcome of an American roulette game is a little bit less likely to occur than in European roulette (apart from "00" which can’t be found on the single zero roulette wheel), while the payouts remain the same. That’s precisely why American roulette has a worse RTP of 94.74 %. American roulette has one bet with an even worse RTP (92.1 %). This is because of the non-standard chance to win (5/38) and payouts (7x bet) of the "top line" bet. The RTP calculation for this bet is: Expected value ($1 "top line" bet) = $7 * (5/38) = 35/38 = 0.921. Roulette is not the game with the best odds in a casino, nor is it the one that can be the most thrilling to play. However, many would argue that roulette is the classiest table game you can find, which makes it a great experience to play. What’s more, roulette is a game with a very simple set of rules and quite good odds for the player. It can be played even without an understanding of the concept of the game, although I believe that it’s always good to do some research and studying to grasp the basics and make good decisions while playing it. That’s why I decided to write this article. I hope it helps you and I wish you good luck at the roulette tables, if you decide to try your luck at this game.